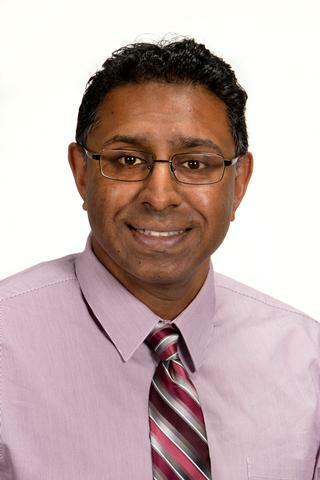 Dr. Joe Chakkalakal is a Dean’s Associate Professor in the Department of Pharmacology and Physiology and Biomedical Engineering, affiliated with the Wilmot Cancer Center at the University Rochester Medical Center. His laboratory is interested in the contribution of stem cells to the maturation, regeneration, and lifelong maintenance of skeletal muscle in various contexts including juvenile growth, aging, and cancer survivorship. Prepubertal skeletal muscle growth requires Pax7-expressing satellite cell-derived myonuclear contribution. ; Development (Cambridge, England); Vol 145(20). 2018 Oct 25. The Composition, Development, and Regeneration of Neuromuscular Junctions. ; Current topics in developmental biology; Vol 126. 2018. Castration induces satellite cell activation that contributes to skeletal muscle maintenance. ; JCSM rapid communications; Vol 1(1). 2018. Research priorities in cancer cachexia: The University of Rochester Cancer Center NCI Community Oncology Research Program Research Base Symposium on Cancer Cachexia and Sarcopenia. ; Current opinion in supportive and palliative care; Vol 11(4). 2017 Dec.
Loss of adult skeletal muscle stem cells drives age-related neuromuscular junction degeneration. ; eLife; Vol 6. 2017 Jun 06.